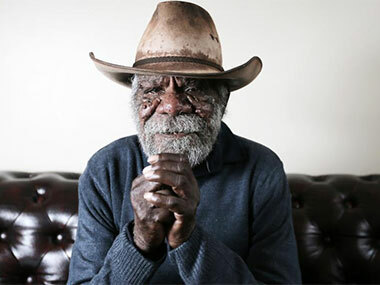 A drawing by Aboriginal artist Peter Mungkuri has taken out the inaugural Hadley's Art Prize, which claims to be the world's richest landscape art prize. 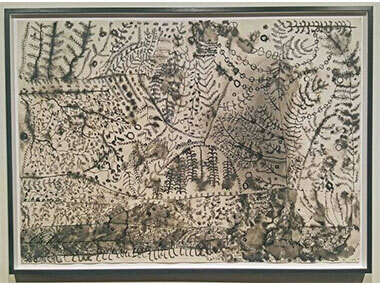 Mungkuri will take home $100,000 for his ink on Somerset-paper drawing, Ngura Wiru, which means 'Good Country'. It depicts his birth place in Fregon, in the APY Lands, though he now works out of the dynamic Iwantja Arts centre in Indulkana. "This is my story about that creek at Fregon. I was born there," he said in a statement. "I love this country, it has watched us Anangu [people] for many years. It is a wise country." Hadley's Art Prize judge, Lisa Slade, from the Art Gallery of South Australia said the three-person panel was continually drawn back to the beauty and vitality of Peter's piece. "There are 11 Indigenous artists as well as Peter, they're from Utopia and Thursday Island and all kinds of places, so it's really wonderful." There were more than 380 entries in the competition, with 41 finalists being hung in the new galleries of Hobart's Hadley's Hotel. The $100,000 prize and the costs of running the competition are being covered by one of the owners of Hadley's Orient Hotel, Don Neil. He first came to Hadley's as a 20-year-old travelling shoe salesman. More than 50 years later he bought the hotel. "Little did I know I'd come to live in Hobart later on and far be it did I think we'd end up buying Hadley's," he said. "But I've always had very fond memories of Hadley's and Hobart has been very good to our family in all that time. With the art prize, I was inspired by David Walsh at MONA – his efforts have been so successful in bringing people to Hobart, and bringing income to everyone in the tourist business, including Hadleys”. And, as Hadleys has been part of the Hobart scene since 1834, the landscape prize demanded an element of history in each canvas. "I've been told this is a really dreadful investment by my financial advisers, and from a financial point of view they're probably right," Neil said. "But you're also investing in Tasmanian tourism, you're investing in Tasmanian artists, you're investing in Tasmanian youth, who can come and view these wonderful works in Hobart, free. So as an investment, it's not the worse one. It's probably the best one." The judges said the standard and diversity of the works was impressive. "They represented every possible perspective on landscape, so our perspective was being surprised and delighted by the range," Lisa Slade explained. "It was good to see just how people have interpreted the idea of landscape and what materials they're using," fellow judge, the National Gallery's Roger Butler added. The third judge, the Tasmanian Indigenous artist Julie Gough said prizes such as this one were increasingly important for artists. Other finalists were fellow-Anangu Mumu Mike Williams, Alec Baker, Nyaparu Gardiner and Tjangkara Ken, Brian Robinson, Margaret Loy Pula, Peggy Griffiths, Karen Casey and Nola Yurnangurnu Campbell: non-Indigenous finalists included Imants Tillers, Guan Wei, and Guy Maestri. Following the success of the new competition in attracting quality entrants, Don Neil is already planning to introduce a second award next year - a prize based around Norwegian explorer Roald Amundsen, who led the first expedition to reach the South Pole in 1911 and telegraphed his achievement from the hotel in Hobart. 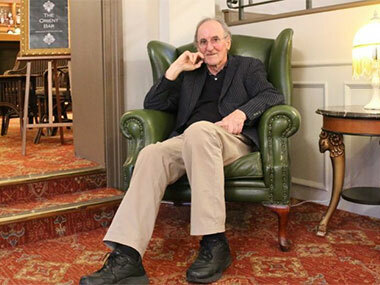 "He stayed here [at Hadley's] and he's a legend in Scandinavia," Mr Neil said. Artwork of all the finalists will be on exhibition at Hadley's Gallery until August 25.